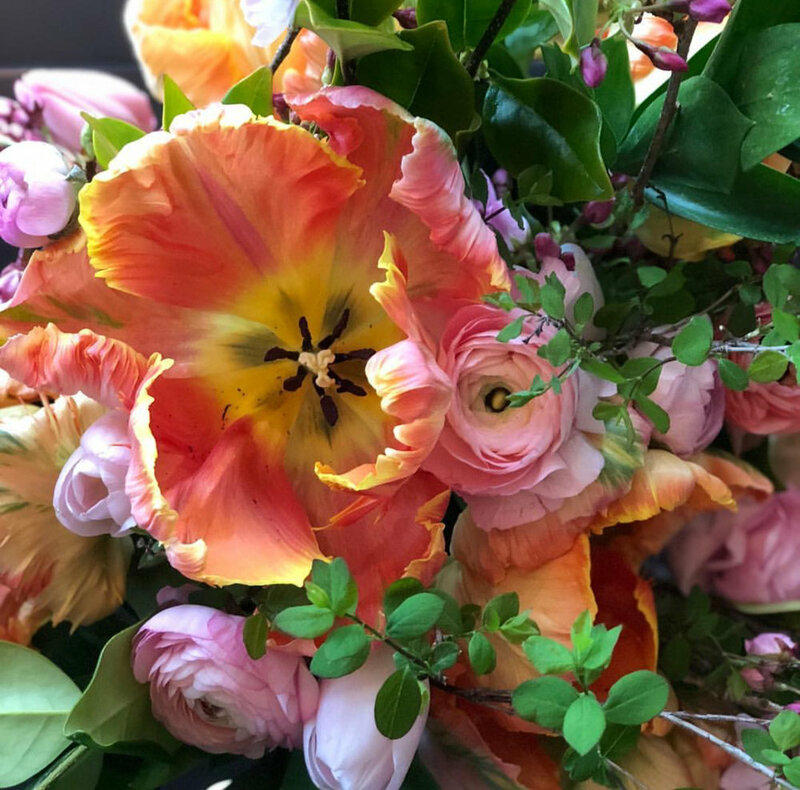 Come to our pop -up shop this Saturday starting at 10 AM and Cheri can arrange a beautiful fresh Spring floral arrangement for you. You could bring your own vessel, purchase one of ours or she has some lovely containgers as well! She will be doing arrangements as long as her lovely supplies last…so come early for the best selection. Don’t forget…we are also open tomorrow: Friday from 10-5!! We hope to see you either way! Giveaway Time on Facebook and Instagram! Hey folks, it’s giveaway time on Facebook and Instagram! We are thrilled to be so close to Spring that we can almost smell the flowers! Oh….wait…that’s just the Verbena Candle and Soap in our giveaway! LOL! Be sure to enter to win our free giveaway on Facebook and Instagram. One winner, two social media apps…two chances to win! Winner will be chosen at random Wednesday night; prize will be available for pick-up this Thursday/Friday/Saturday from 10-5 during our pop-up shop. Stay tuned for more pop-up shop info to come…we have some lovely goodies for you this time. It’s a shopping experience not to be missed! Save The Date: Spring Pop-Up Shop March 14-16! Save the date: Spring Pop-Up Shop Thursday, Friday and Saturday March 14-16, 10 AM to 5 PM. We are simply itching for Spring colors this year…how about you? Come and get a breath of fresh spring decor, florals and gifts next weekend…right here at Grandiflora. Event Fair this Saturday here at Gatherings by Grandiflora! Tickets can be purchased for $3 at the door… or in advance via Eventbrite. Are you recently engaged, celebrating a big birthday/anniversary or have someone graduating this year? the Lynden Bridal and Event Fair is the perfect place where you can meet local, dedicated vendors who will help you make your next celebration come to life! Enjoy 20+ vendors, samples of delicious treats and info bags for all brides! Plus, enter to win a BIG raffle prize (see above photo collage) valued at over $300!!! Grandiflora will be hosting a small pop-up shopping booth as well as welcoming you into our new intimate event venue space. Come and chat with us about booking your next event at Gatherings…or pick up some fun retail therapy goodies for your bridesmaids in our booth. Just a Quick Sneak Peek... Popping-up this Friday & Saturday! Come to our blog for all the details! This Friday and Saturday from 10 AM to 5 PM. 719 Grover St. Lynden. Also, don’t forget about our free workshop this Saturday from 1-3! Plus MUCH….MUCH MORE in the store for your shopping pleasure. Pop-Up Shop & Free Workshop! Go Faux this Friday & Saturday! This Friday and Saturday January 25th and 26th from 10 AM to 5 PM we will be hosting our next pop up shop with a free workshop right here at Grandiflora ( 719 Grover St. Lynden). It’s that drab time of the year…don’t deny it…you feel it too. We’re assuming you’ve taken down all the Christmas decor from the holiday season & you’ve cleaned and organized a bit (or a lot…or not at all! LOL!). So now you are just feeling left a little blah. Well, don’t you worry. We have you covered! First off, this weekend we are featuring a whole bunch of our very popular faux greens (sorry no floral stems this time). We all love having live green plants…but sometimes you just don’t have enough light, experience, or time to care for them. Enter the faux greenery phenomenon. We can’t get enough of these things! They work wherever you place them and often guests can’t tell if they’re faux or real! We work very hard to find the “best of the best” when it comes to faux succulents, greens and pre-potted plantings. We also try to find the best pricing ever. This weekend we’re filling the store with lots of these affordable goodies for you to chose from. Select pretty containers, hanging pots and accessories to compliment your new faux greens. On top of all that, we will be hosting a FREE workshop on Saturday the 26th from 1-3 PM. Come and work with La Von, partner at Grandiflora, main faux greens/floral buyer and ex-fresh floral designer. 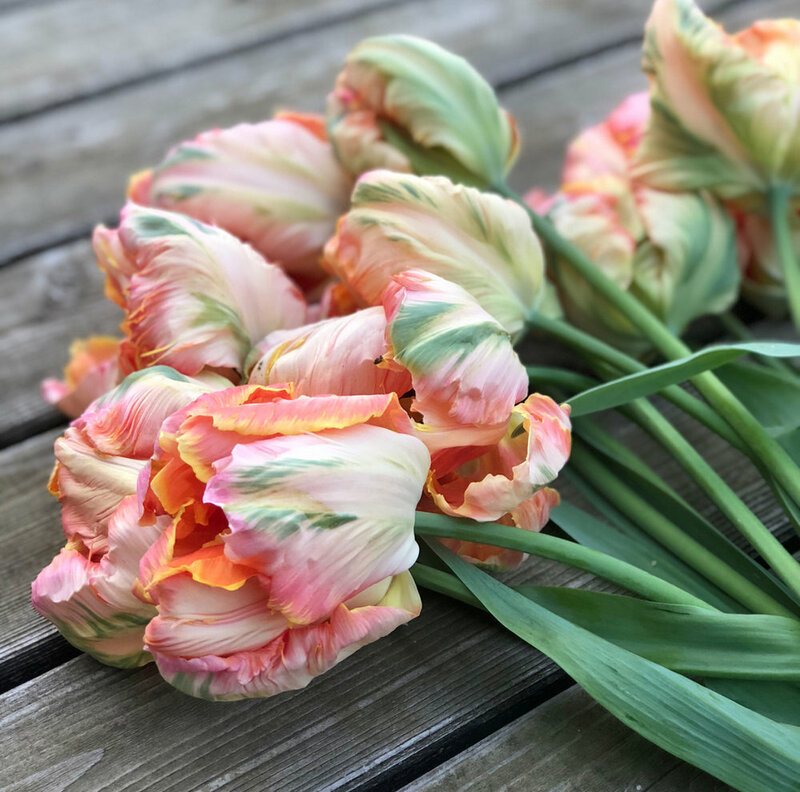 Also glean from Cheri Bargen, fresh floral designer, floral grower and owner of Eidlewilde Flowers. Both of these talented ladies will be on hand to assist you in putting together your faux greens arrangement. Feel free to purchase a container of ours, or bring in your own. They can help you figure out how to fill it with lovely greens that you’ll enjoy for years to come! This is a first come first served workshop. We are limited to stock on hand. This means if you want the absolute best selection in greens, be here Friday morning. You can always come back Saturday for the free workshop. Can’t make it Friday? Not to worry, we think we’ve purchased enough quantity to have a great selection on Saturday as well. The workshop will be located up on the second floor which is not wheelchair accessible. If you bring a container from home (rather than purchasing one here) be sure it is table-top sized. We will not have supplies for extra large containers. We suggest smaller to medium sized pots, vases, terrariums and glass containers. Can’t make it for Saturday’s workshop? Feel free to use our workshop tables up on the second floor to play around on Friday. Get creative! We know that many of you love doing your own arrangements…so have fun and experiment! Although the workshop is free, the basic “potting” supplies will be for sale at a very nominal charge. If you are unsure of what type of container or greens to choose, take some photos of your space on your phone. Both La Von and Cheri have excellent eyes for design. Last but not least…remember that whether you come alone or with a great companion…Gathering at Grandiflora with a bunch of like-minded folks is just what the winter weary soul needs! Not a huge fan of greenery? No worries…we have lots of new jewelry in stock & refreshing home decor items to choose from. We look forward to seeing you Friday & Saturday! Save The Date: Next Pop-Up January 25 & 26! This time we are focusing heavily on refreshing your winter weary space. We’ll show how our amazing faux greenery can perk up any sad and dreary atmosphere to get you through until it’s time for the real deal come Spring. We have some special things up our sleeves for this one, so don’t miss out and mark your calendars for a fun weekend of Grandiflora Goodness here at Gatherings! 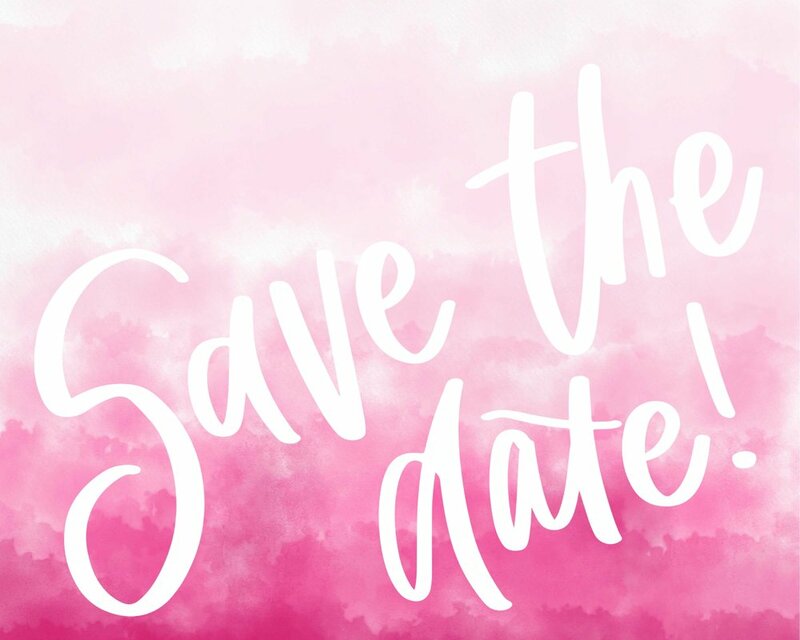 Find the Lynden Bridal and Event Fair information on Facebook where you can also purchase your tickets in advance for only $3.00. We will also be there to welcome you to our new intimate venue! Inventory Clearance SALE Everything 50% Off OR MORE! That’s right, take 50% off all regular priced items at the register! Also, many items are already marked from 60% to 70% off! We need to make room for the many new items scheduled to come in for our next pop-up shops in 2019. Help us reduce our inventory this Saturday January 5th from 11AM to 4PM. We have filled our main floor with tables and topped them with loads of great deals. There is no back stock, no product on the second floor…what you find on the main floor is all that’s available. Again, regular priced items will be 50% off at the register. Red lined items are priced as marked from 60%-70% off! Sorry, no pre-sales or phone sales.